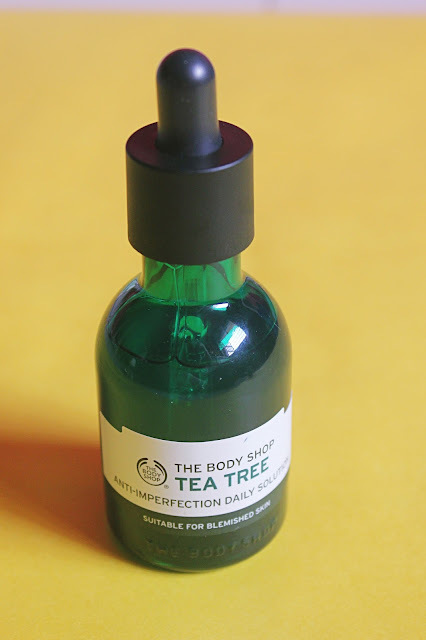 For someone with acne / blemish prone, the popular Tea Tree Oil by The Body Shop has been a must have. It's been a part of my skincare regimen since the longest time, and I have been mighty impressed with it's result so far. Recently, the brand launched some new products under this highly popular range. 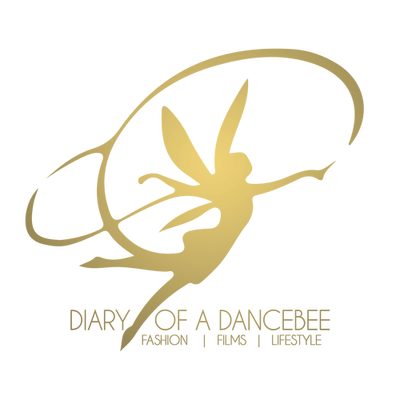 We were introduced to some of them and post a month long trial, the verdict is out! Have they managed to impress us again? Read on to find out. What does the product promise? - A 3-in-1 product which can be used as a wash, a scrub or a mask to combat blemishes and excess oil. When used as a wash, the foaming clay removes impurities and excess oil. As a scrub, the exfoliants unclog pores, smooth skin’s surface and reduce the appearance of blackheads. When applied as a mask, the drying clay reduces blackheads and shine, deeply cleanses, mattifies and tightens pores. How to use? - As a face wash: Wet face and apply a small amount on your face, massaging the product in circular motions until the mud foams. Rinse off. Can be used daily. As a scrub: Massage gently onto damp skin in circular motions (with special focus on the T-zone). Add more water until the mud foams, then rinse off. Can be used 2-3 times per week. As a mask: Apply thin layer to dry face, avoiding the eye area. Leave on for 5-10 minutes. Then add water until the mud foams, and rinse off. Can be used 1-2 times per week. Packaging: The product comes in a sturdy plastic tube, which is dark green (matching the tea tree range). 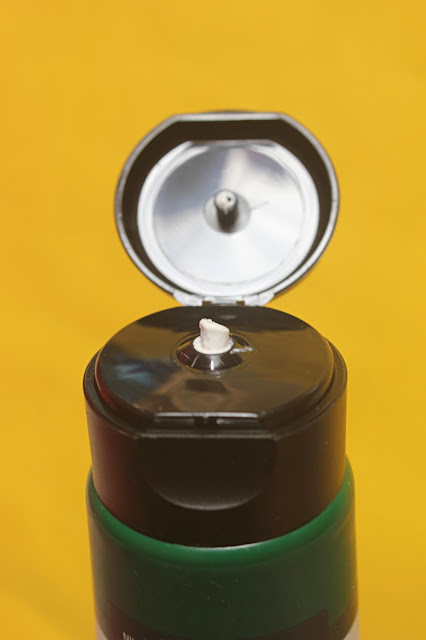 The tube comes with a flip top, which helps dispense the product easily. Easy to carry, does not spill and is also travel friendly. Plus, for a 3-in-1 product like this, the flip top also helps maintain hygiene. Texture: Creamy and slightly grainy. The texture of this 3-in-1 product is slightly creamier than most scrubs available in the market. 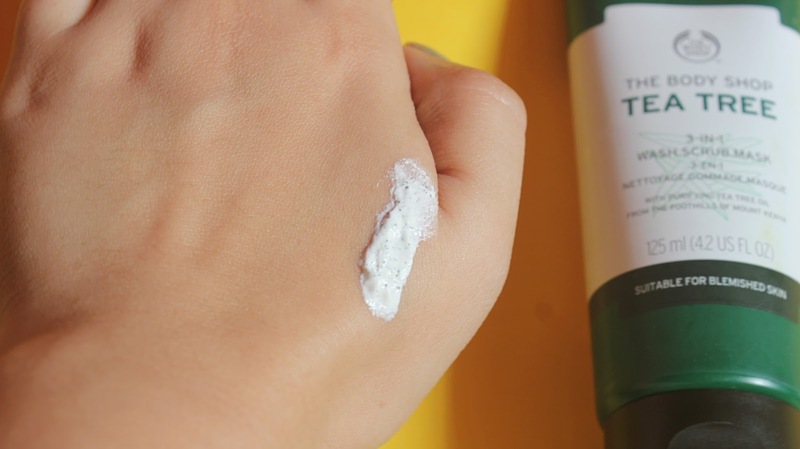 When used as a mask, it spreads very well (you can use a face mask brush for best results). As a face wash, it lathers up and cleanses your face gently, while as a scrub, the product does a great job of exfoliation. 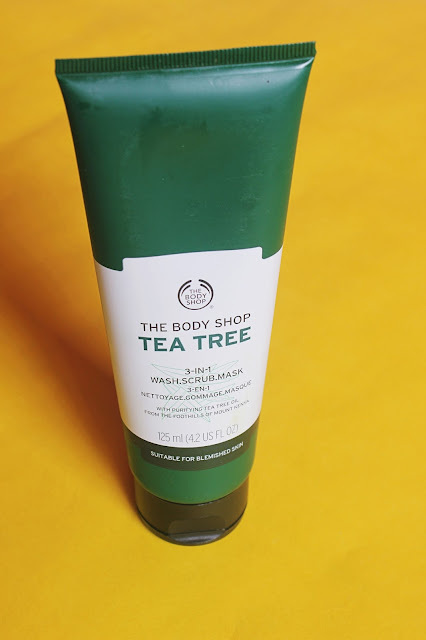 The exfoliants are not very harsh and this product has a nice, subtle tea tree fragrance. What does the product promise? - A lightweight, pre-serum concentrate that combats blemishes and improves the overall condition of skin.After 4 weeks, skin looks and feels purified, clearer, smoother and healthier. It also helps reduce redness and imperfections. How to use? - Gentle enough to use daily as part of your morning routine. After cleansing, toning and preparing skin with an essence lotion, apply all over the face and neck, avoiding the eye area. Follow with an eye cream and moisturiser. For oily skin, can be used in place of the 'serum' stage of a skincare regimen. 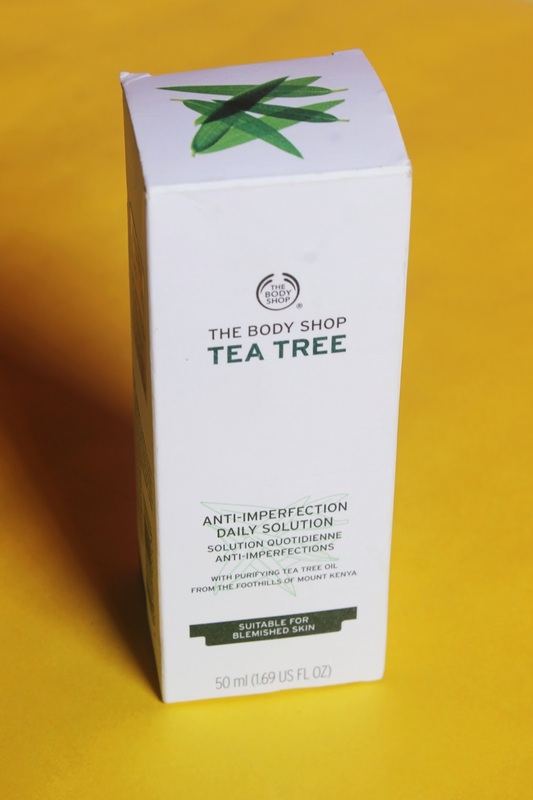 Packaging: The product comes in a glass bottle, like most other popular serums and facial oils by The Body Shop. Keeping up with the colour theme of this range, the serum is housed in a dark green glass bottle, and comes with a dropper, which is a plus. 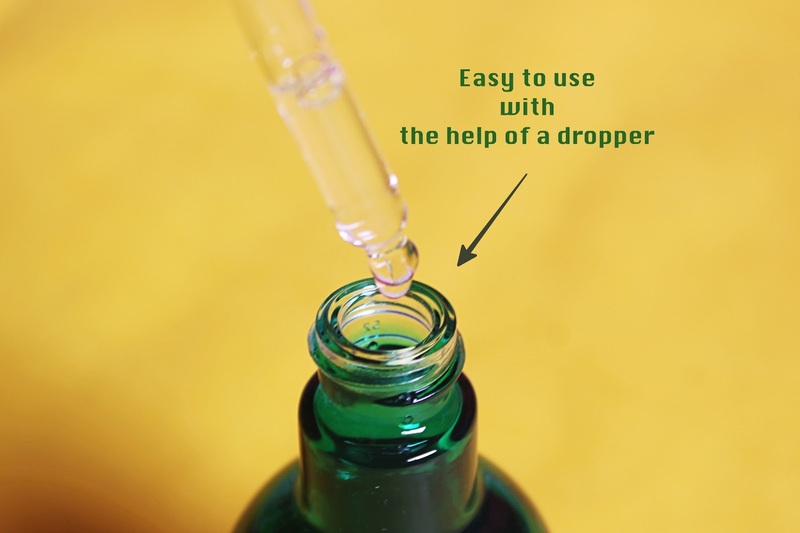 Droppers are easy to use and helps dispense just the right amount of product. Texture: The solution is transparent and extremely light. If not for the strong tea tree fragrance, you could almost pass it off as a drop of water, except that the product is not that runny. It's a light weight serum that absorbs quickly. The texture is almost similar to another popular product from this range, namely the Tea Tree Oil. 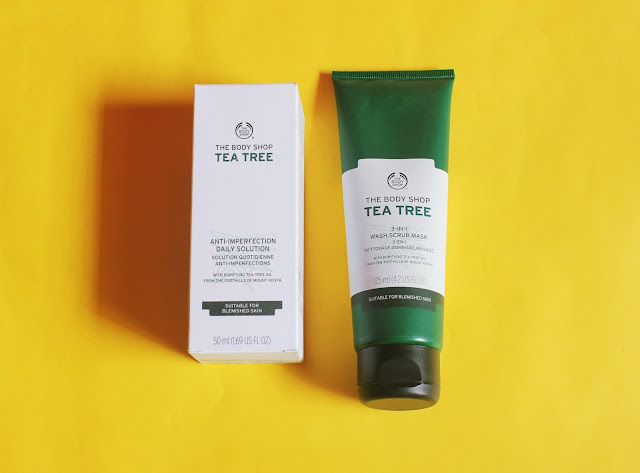 Overall Experience: I've been using the Tea Tree Oil and the Tea Tree Night Lotion since quite sometime. So, when the brand re-launched a few products with new packaging, along with new products in this range, we were more than happy to test it. So, I added the Anti-Imperfection Daily Solution and the 3-in-1 Wash.Scrub.Mask to my daily regimen. 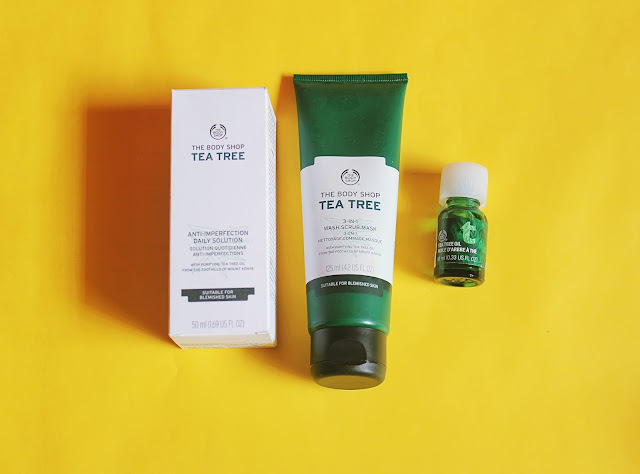 While the serum was used as part of my morning routine (followed by the everyday moisturiser that I use), the face wash was paired with the night lotion and tea tree oil that I already have, as part of the night routine. Since I don't use a scrub, I tested the 3-in-1 product as a mask once a week. Now, a lot of people often confuse acne with blemishes. There are not the same. Firstly, acne is characterised by a host of different issues, which includes pimples, blackheads and white heads. Whereas a blemish is the condition where your skin is de-colorised or darkened. But yes, acne and blemishes are connected by the fact that blemishes are commonly occur on acne prone skin, and is mostly the result of a post-pimple damage. Most products in this range focus on blemishes and overtime, do a fine job of clearing your skin off those pesky marks. The 3-in-1 product keeps your skin feeling squeaky clean and fresh. As a mask, it does help you get rid of blackheads quite effectively. 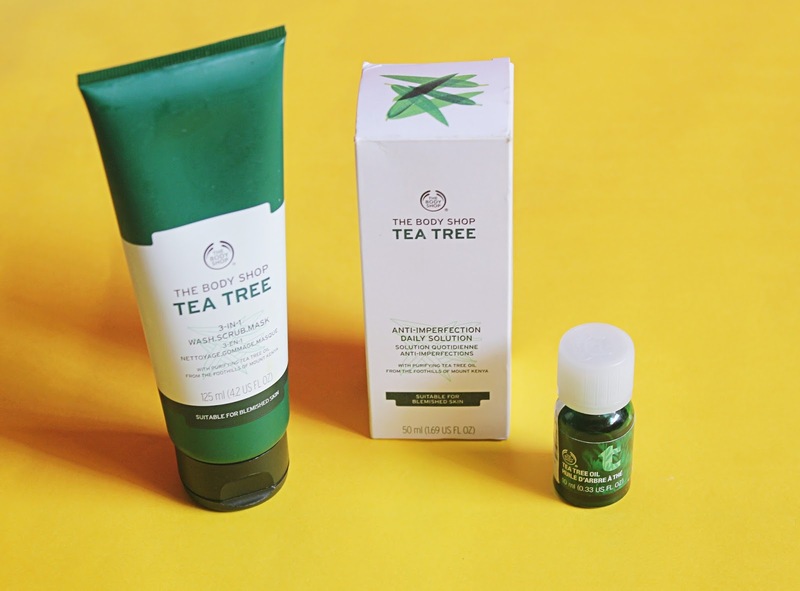 Personally, i've always been a fan of the Tea Tree Oil, which works wonders a targeted care treatment product and is a must have for anyone with acne. As for the serum, it leaves your skin feeling mattified, fresh and healthy, though it is absolutely important to follow up with a hydrating moisturiser. The serum does a good job of leaving your skin feeling clear and healthy over time (give it at least a month to show some results). Though I must add, the real test of this range, especially for those with dry skin (like me) shall begin now, as winters approach. However, the range pretty much lives up to all the expectations and does a good job (along with supporting the cause of sustainable growth of the Kenyan Organic Oil). Especially the 3-in-1 wash.scrub.mask, which is a travel must have for us now. Verdict: If you have blemish prone skin, then don't think twice. Add these products to your daily skin care routine and you are sure to see the difference! Definitely a thumbs up from us. I love the Anti-Imperfection Daily Solution as well. It has worked really well for me and hasn't left my skin feeling dry. I've also reviewed my experience with the product. I’m confused, isn’t the face wash, mask and scrub the same product?Then how can I use the face wash daily and the mask 2-3 times a week?